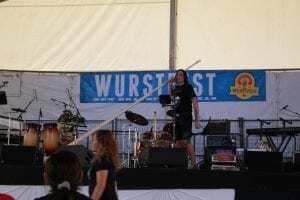 Swaying back and forth, Bratwurst on a stick in their hands, singing along to the polka music being played by the band on the stage the German Club students took a field trip to Wurstfest. Students traveled to New Braunfels on Nov. 5 to experience the German culture, food, and Polka music. Alex Meixner playing an instrument from Austria called an Alpenhorn. Since it’s a new year that means new students are joining the German club. Freshman Arden Schweninger talks about her first time going to Wurstfest. 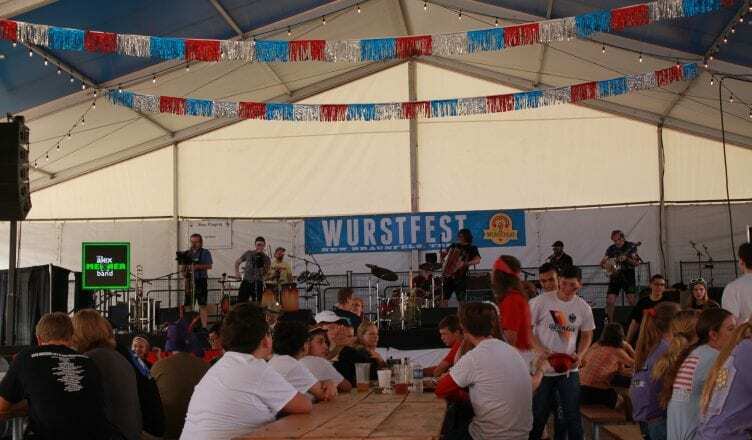 It may be the last year of Wurstfest for German Club students who have been in the club since freshman year. They will leave a lasting legacy on the underclassmen who join every year. “Hanging out with my friends who I have known since freshman year really made Wurstfest fun.” Hernandez said.